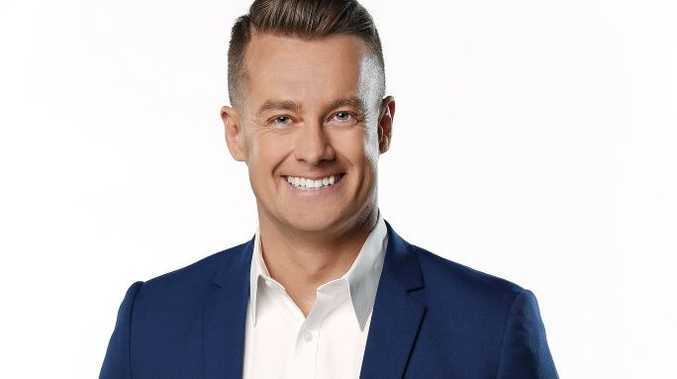 AFTER a brief suspension from the Kyle and Jackie O Show, convicted joke thief Grant Denyer has been allowed back on air to explain why he ripped off a story from Matty Johns. "I feel like a real knob - I have to apologise," the Family Feud host admitted on KIIS FM on Monday morning. "I've been dreading this call.... oh man, I'm so sorry guys." Last week, Denyer appeared as a guest on Triple M's The Grill Team where host Johns told him a yarn about the time he tried to introduce a 10-year-old to the boardgame Test Match, but the kid was totally underwhelmed with how basic it was. An hour later, he showed up to The Kyle & Jackie O Show and in the heat of the moment, retold the same story as if it had happened to him. The popular TV presenter was busted and publicly slammed on both radio shows - with all the hosts agreeing he was forthwith banned. But it was clearly a short-lived punishment. "Can I explain, can I set the scene?" 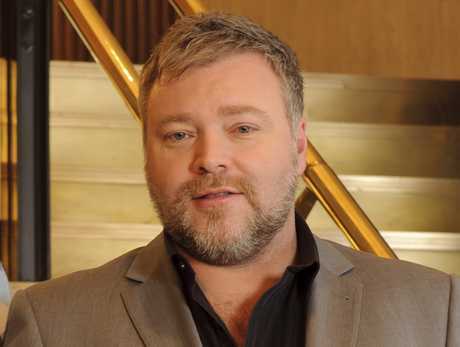 a contrite Denyer asked Kyle Sandilands and Jackie 'O' Henderson. "But as soon as I started it, I realised 'I know where this story is from... I heard it on another radio show!'" By then, he explained, he was too far in. "Instead of backing out when I realised, I just committed and changed the punchline and hoped no one would notice." After last week's fairly brutal condemnation, Sandilands appeared to be pretty understanding, admitting he's done it himself. "I think we've all done this. I've retold stories before to friends, where halfway through I realise, 'oh, this is someone else's story,'" he revealed. The shock jock even questioned whether Denyer had staged the whole thing for publicity. "Are you secretly a genius? You turned one Family Feud interview into several radio spots on multiple stations, national press coverage... have you just defeated everyone with your brilliance by getting days and days of mention out of this?" So the fiery situation appears to have been extinguished for now, with Denyer even ending the chat with a cheeky promise: "We're friends and I would not lie to you ... a second time."